New crossovers Opel 2017-2018 replenished model — Opel Grandland X, which is presented previously in the global network. 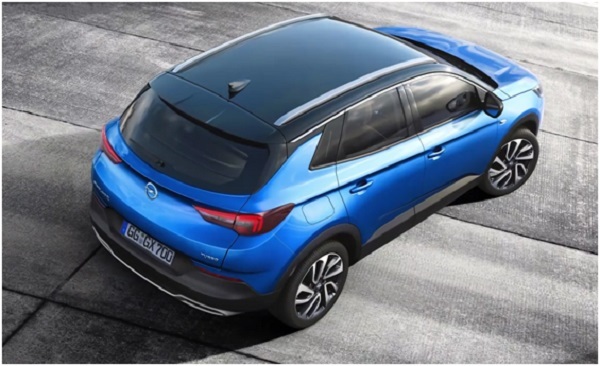 We offer an overview of the new German crossover Opel Grandland X, based, however, on the technique of PSA Peugeot-Citroen, — with photos, prices, specifications and specifications. The world premiere of the novelty is planned within the framework of the Frankfurt Motor Show in early autumn of 2017, but sales of the new Opel Grandland X in Europe will start a bit earlier, this summer at a price of 23-24 thousand euros. I would like to note that after the transition of Opel under the control of PSA, the German manufacturer pours novelties, as if from a cornucopia. In 2017 the company plans to present 7 new models. Two have already opened — this is Opel Crossland X and Opel Grandland X. So wait for five more. Although, perhaps, the versatile Opel Insignia Sports Tourer and Insignia Country Tourer also go into the overall standings. Let’s return to Opel Grandland X and try to find out what the new machine is. Before us is the older brother of the Opel Crossland X, with a larger body and, of course, a more spacious cabin and luggage compartment. 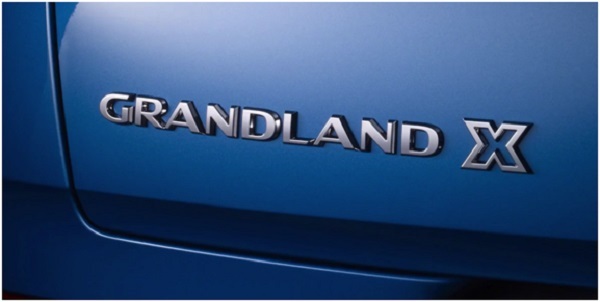 At the same time, the Grandland X is based on the French EMP2 truck, akin to the German crossover with the French Peugeot 3008 2-generation car park. It’s a shame, but the new modular platform from the PSA does not promise a car with the Opel logo on the full-drive radiator grille. 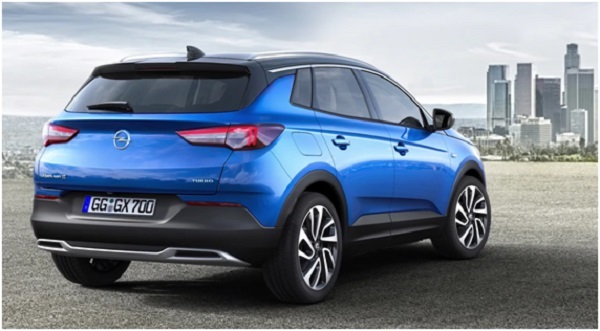 So the new Opel Grandland X can only be considered as a crossover army. In fact, we have an alternative version of the Opel Zafira minivan, but it’s better prepared for traveling on difficult roads (there is a Grip Control system with five normal, snow, mud, sand and ESP Off modes). 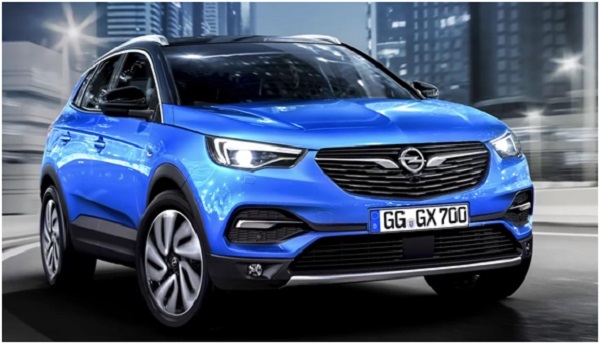 The appearance of the new German SUV is solved in the firm design key of the Opel novelties and nothing outstanding stands out against the background of the younger brothers Opel Mokka X and Opel Crossland X. In a word, a modern, stylish and somewhat boring body, complemented by technological adaptive LED headlights, plastic crossover body kit , Large wheels, floating roof and LED marker lights with graphics, echoing the front optics. 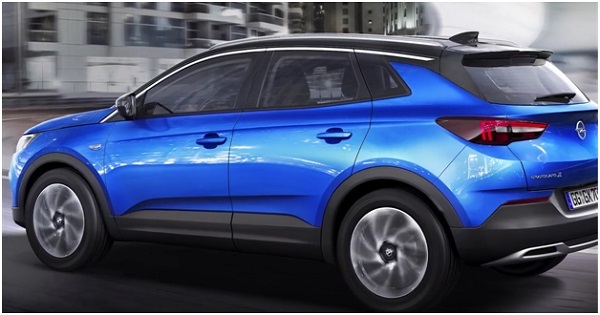 The outer overall dimensions of the Opel Grandland X X 2017-2018 are 4477 mm in length, 1844 mm in width, 1636 mm in height, with 2675 mm of wheelbase. The interior of the Grandland X model almost exactly copies the Crossland X passenger compartment, at least the design of the front panel and the center console. The main difference in the model lies in the presence of a rather spacious luggage compartment, which allows you to count on a useful cargo volume from 514 liters to 1652 liters, depending on the position of the backs of the rear seats. And places in the second row with an eye on the size of the wheelbase at 2675 mm will be more. The portfolio of standard and optional equipment includes Adaptive Cruise Control with pedestrian detection and Automatic Emergency Braking, systems for tracking, driver and traffic signs, Advanced Park Assist and 360-degree viewing system, heated front seats and rim wheels, advanced Multimedia complexes IntelliLink and other chips. Specifications of the Opel Grandland X 2017-2018. Under the hood of the Opel Crossover, petrol and diesel PSA engines running in tandem with 5 MKPP, 6 MKPP and 6 automatic transmissions will be prescribed. Petrol versions of the Opel Grandland X with turbocharged engines 1.2-liter PureTech (130 hp) and 1.6-liter THP (165 hp). Diesel version of the Opel Grandland X with turbodiesels 1.6-liter BlueHD (100 hp and 120 hp) and 2.0-liter BlueHDi (150 hp and 180 hp). Suspension of the front wheels is independent with MacPherson struts, rear semi-independent with torsion beam on the longitudinal levers, the drive is by default to the front wheels.